There is a huge demand-and-supply cycle of pills and vitamin supplements already in place. On a daily basis, newly formulated pills are ushered into the market, they treat a variety of problems, for consumers. However before making it to the market shelves, there is a long process that each pill and supplement brand needs to undergone. While the pills and vitamin supplements are in manufacturing, the makers have to have a sit down with designers to conceptualize and create a user-friendly packaging for the products. Thanks to the popularity of mockups, designers create and present them to the clients. The mockup gives clients more than just a fair idea of what the packaging is going to look like in real time. In this article, we have compiled some mockups you could customize and use for this category of products. This mockup is ideal packaging idea for pills and supplements of all kinds. The mockup contains two different bottle shapes, on which editing on smart objects is possible. You can easily make modifications and invent your own unique bottle design. 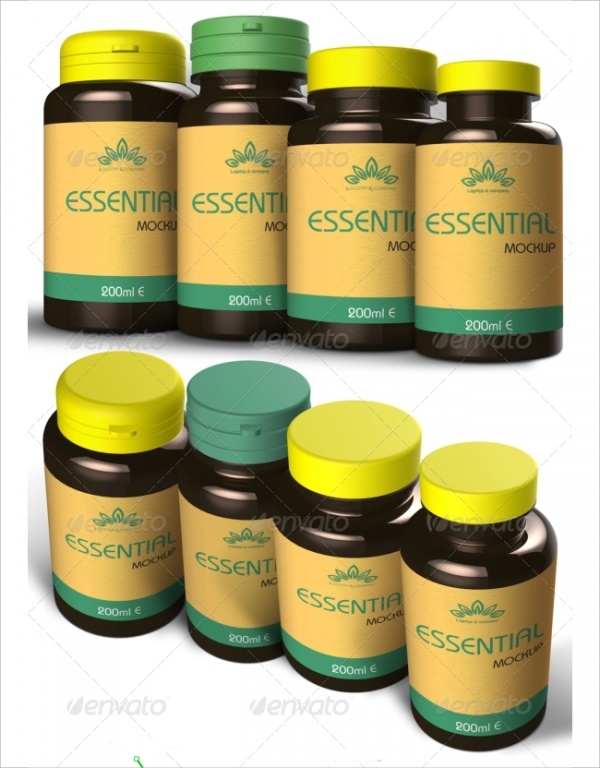 Whether you’re looking for a packaging mockup for herbal pills or any other medicinal supplements, this mockup template is designed and can be simply customized to help you create the perfect bottle packaging for your product. 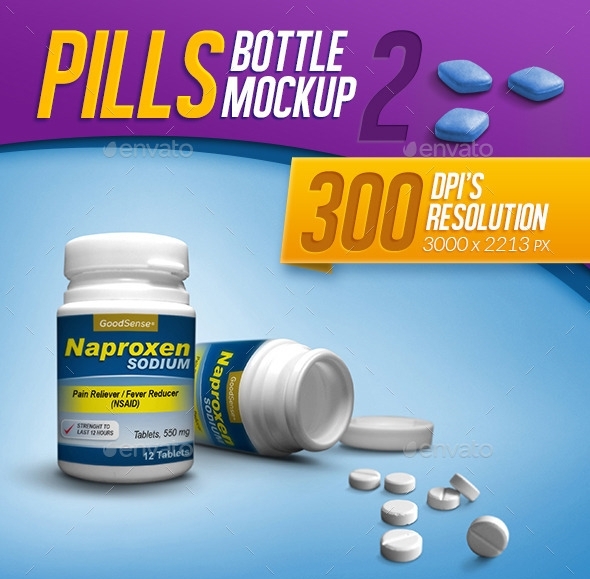 With this mockup you will be able to show your clients as well as the customers what exactly the pills look like inside the bottle. The mockup features red and yellow pills in a blank white bottle set against a dark backdrop. You could easily change those aspects and create a mockup fitting to your client’s product. This photorealistic vitamin bottle design is will not take more than just a few seconds to customize and put up on display. The smart design has got equally smart objects in it which can be modified or replaced with text and vectors of your choice. 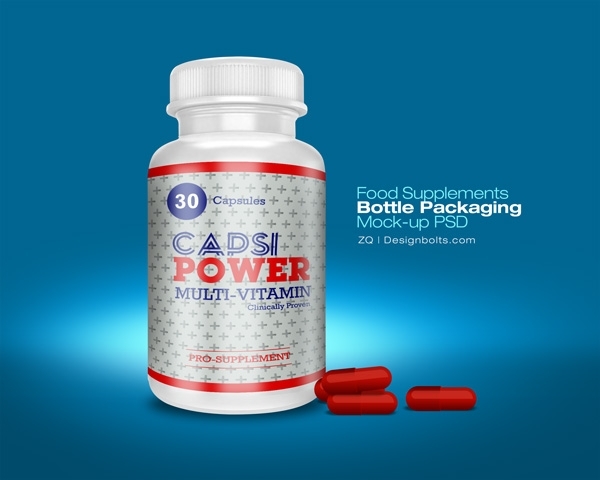 Presentation of packaging is a big deal and that’s why we’re sharing with you this stylish supplements bottle mockup. Feel free to use it for personal and professional prospects. The mockup is editable so you can simply insert images and text of your liking. 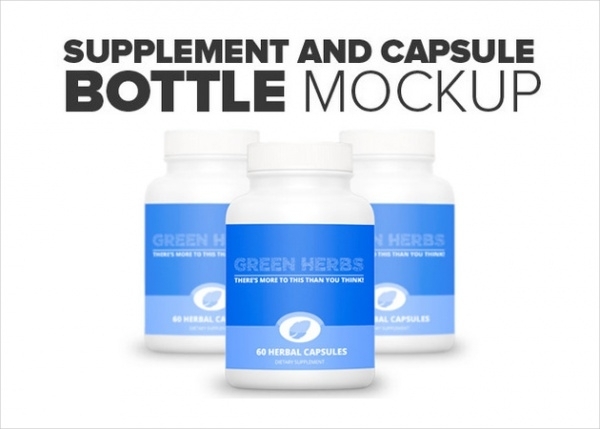 This mockup is apt for all kinds of capsules, pills, tablets etc. 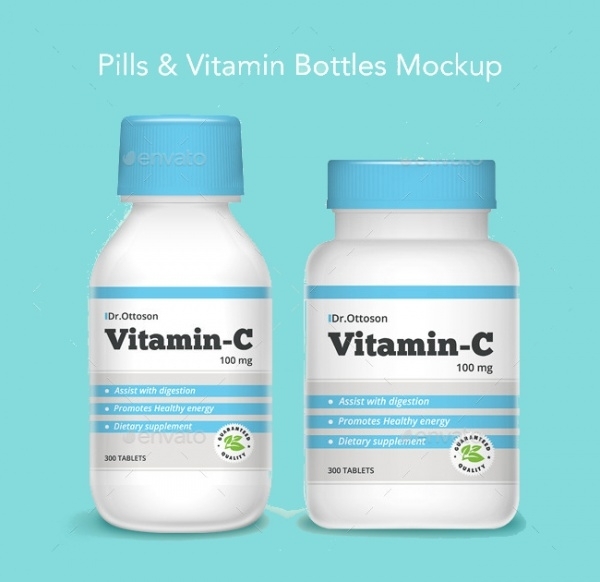 Change the color-scheme and text elements of this vitamin bottles mockup to recreate a packaging design which holds true to what the clients’ wants. Equipped with fully layered files and smart objects, editing and customization will not take too long! Win over your clients instantly by picking up this innovative and stylish bottle mockup. The color scheme and textual elements are modifiable, and this bottle mockup is more than just apt to be used in product displays, PowerPoint presentations, websites and much more! 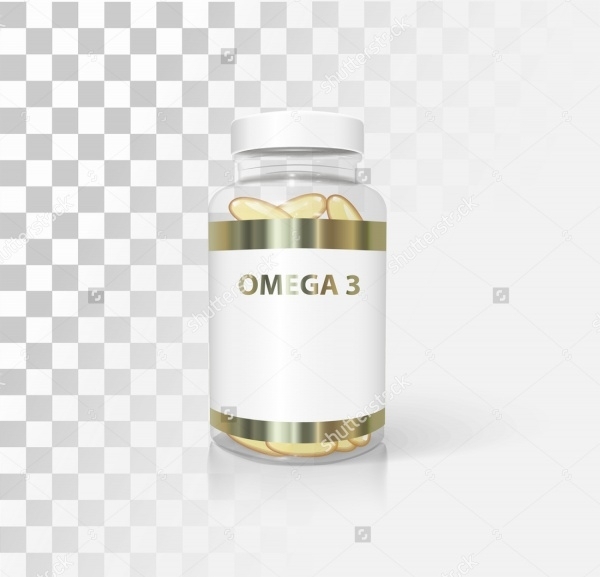 This bottle design mockup is a good fit for Omega 3 pills. Of course you’re free to revise and renovate the design and text elements so that the final mockup meets your product brief. 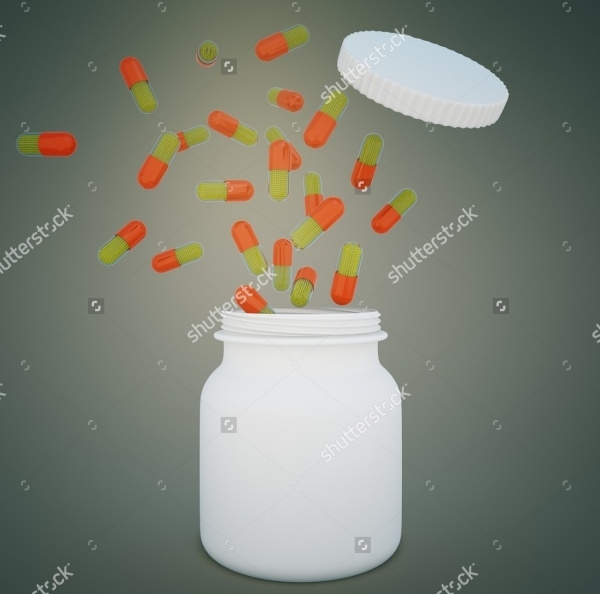 This mockup has 6 different colors of pills which you could use to design your bottle mockup for your product – pills, vitamin capsules, tablets etc. You can easily personalize the label design by changing the background color with the help of the color-adjusting layer. 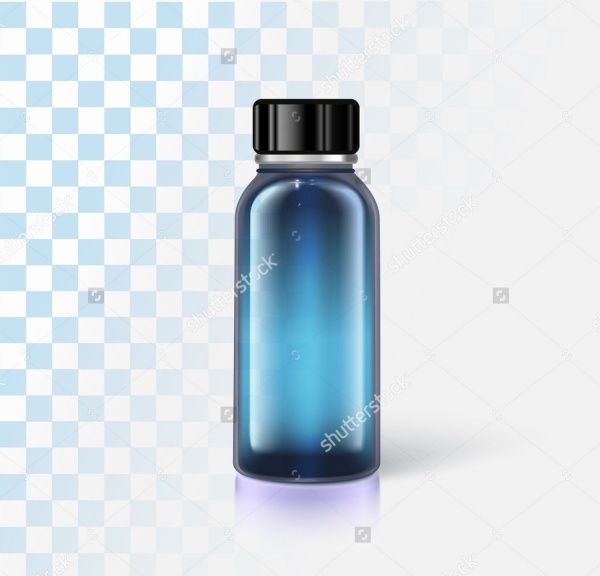 This is a photorealistic blue bottle mockup which you could renovate and design a mockup which adheres to you what your medicinal product is. This blue bottle mockup is a high-resolution template with multiple resizing possibilities. 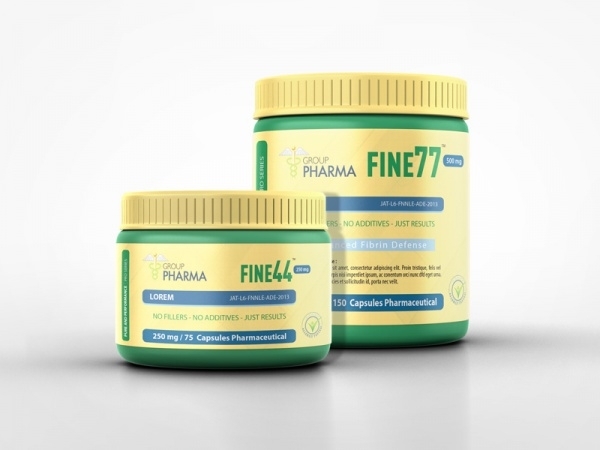 Be it pills, vitamin supplements, tablets, capsules or any other kind of medicinal product, using any of the aforesaid bottle mockups we assure you one thing: you will be able to customize and create product packaging which is truly top-quality and unique. You can easily create brand packaging which matches its corporate identity!